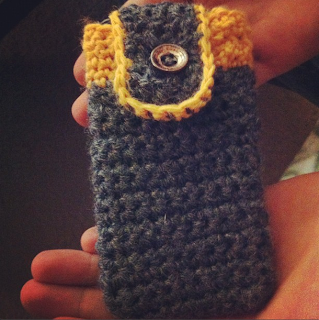 This is a cell phone case I made for my friend Justin the other weekend. I just made up the pattern as I went. It came out adorable.